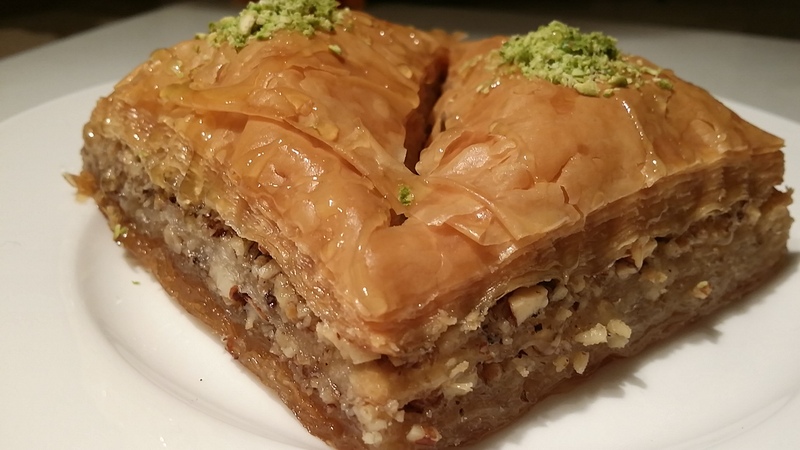 Category: Baklava. Tags: baklava, Eastern Mediterranean, home made, ფახლავა. 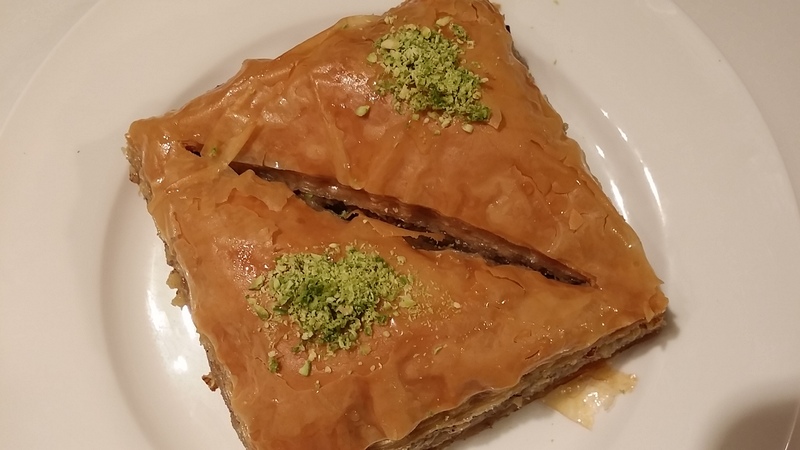 Baklava is a Mediterranean dessert made with phyllo dough, honey, nuts, butter, and sugar. 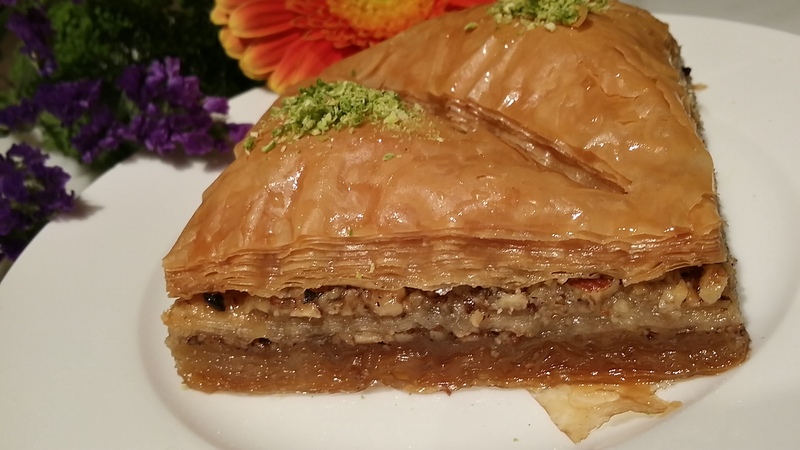 Our baklava contains walnuts, almonds, and sprinkled with pistachio. In many countries, baklava is an excellent compliment to coffee. It is used in weddings, family get-together, and various other feasts and celebrations. We use highest quality walnuts and our butter contains no Cholesterol, 40% fewer calories & 35 % less fat than regular Butter. We make our own syrup with 100% U.S. Grade A honey, for our desserts. We sure you that our baklava is the best baklava you have ever tasted. Why not try for yourself? These Dessert is especially noteworthy because it contains top grade California walnuts certified to be high in Omega-3 fatty acids, and Supreme whole almonds lightly roasted and chopped. With these finest ingredients and healthy traditions of making it is sweet and good for you: That’s the best of both worlds. We are glad to fill your order quickly and efficiently.